It’s not a secret that Yelp reviews can play a huge role in how people perceive your business. Not only is Yelp what usually pops up in Google searches, it’s also where people can be the most rabid about sharing their opinions. And while you can’t control what people write, you can control how you respond to it. Here are some tips. Let people know you’re listening. Don’t just slide negative comments under the rug. It’s important to publicly acknowledge both positive and negative (and yes, even nasty) comments. When you respond, always lead by thanking the customer for their business and feedback. And don’t feel the need to write a novel; keep your responses short and sweet. This goes back to the first point — letting your customers know you’re listening. Be sure to respond consistently — it shows people that you’re on the ball and committed to providing the best experience possible. Stay positive in your responses. Reputation.com advises steering clear of excuses and instead being open and honest about how you’re going to correct things going forward. Use negative reviews as learning. Yelp jabs can cut to the bone, but they’re also a good opportunity to identify places for improvement. Maybe a bunch of reviews flag slow service, cold coffee, or stale bread. This type of specific commentary can be a sign that an area of your business needs attention. Pizzeria Delfina, a popular San Francisco restaurant, once flung things back at the platform by outfitting staff with T-shirts featuring quotes from bad Yelp reviews. It’s not the most conventional strategy, but it definitely lets your customers know you’re listening. 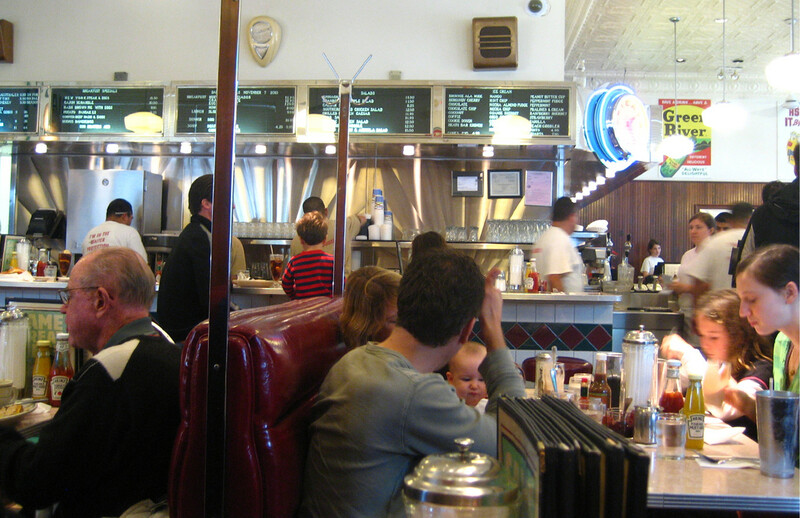 Image credit: “Diner” by Jeremy Keith, Flickr, CC by 2.0, cropped from original.